About two dozen local teachers and educational support staff joined their colleagues across the province Thursday in holding information rallies to call on Premier Doug Ford’s government to “protect and enhance” public education in Ontario. 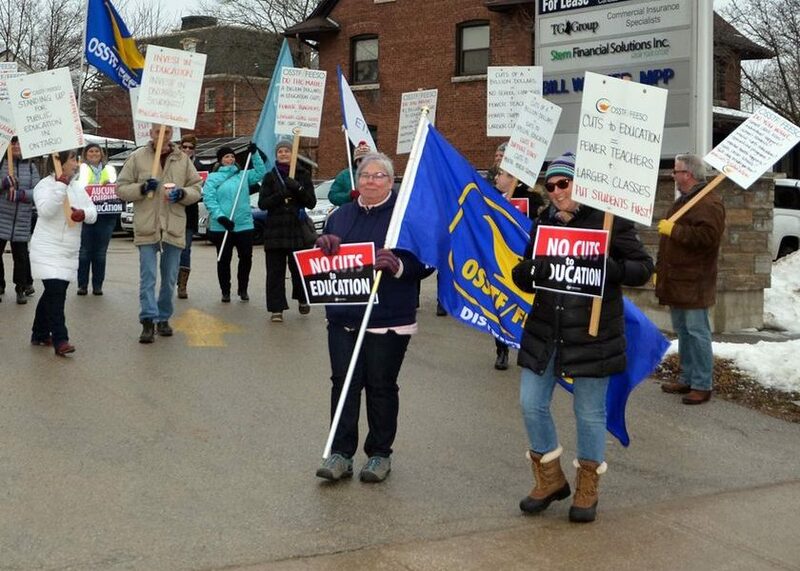 “We are very concerned about cuts to education,” Penny Huettlin of Ontario Secondary School Teachers’ Federation (OSSTF) District 7 said in an interview at the Owen Sound event. Local educators are worried, she said, that the provincial government will remove caps on class sizes and reduce funding for the education system, which would mean fewer teachers and support staff and resources for students.